A fire hydrant is used to access water from the towns mains supply. 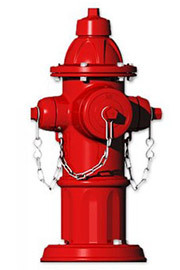 The main purpose of fire hydrants is for the fire brigade to attach a hose to the valve in the event of a fire. have privately owned water hydrants installed on site for use by the Fire Brigade in the event of a fire. Any piece of fire equipment has to be maintained by a competent person at certain intervals. For a fire hydrant, a competent person needs to test and maintain a fire hydrant in accordance with BS9990:2006/BS5306 at least annually. Hydrant Testing and maintenance should be conducted for both insurance purposes and to ensure operability if a fire was to occur. as part of your annual maintenance programme. We can also provide static testing on lay flat hoses of all lengths and sizes. To arrange your hydrant testing quotation simply contact us or call our team of professionals at 1850 929829.